There are a few people at the end of our street taking pictures by the Penny Lane sign, showing, for me at any rate, the true power of what music can do. It can make you get on an airplane and go to a city you’ve only ever heard of in a song, find a street in suburbia and smile at the memories and the visions. We all remember our first big show, the excitement, the joy of having that ticket in your hand, waiting for the big day. My first show was REM at Slane Castle in Ireland, the anticipation went on for months, it was a day I will never, can never forget. I still have the ticket and a faded loved T-shirt. Music inspires, enthralls, enriches, it soundtracks life, every event, every moment has a particular song, memory. Manchester has given us so much music it’s hard to know where to start. From the amp botherer that is Mark E Smith, The Smiths, The Stone Roses, The Inspiral Carpets, Audioweb, John Cooper Clark, Doves, Ian Brown, The Durutti Column, Everything Everything, James, Joy Division, New Order, Oasis, Mr Scruff, The Membranes, Morrissey, Swing Out Sister, Ting tings, Take That. Elbow. Back in the days when I had hair, I was an indie kid, Manchester was an homage, it was the center of every universe, every sound, every crush in a flare wearing indie girl who was listening to better music than I, every heartbreak was soundtracked by Manchester. Rae and I had our first, first wedding dance to Elbows One Day Like this while it was still cool, my friend played it on the harp as we left the Church. Manchester is in our veins. We didn’t get much sleep the other night as our little ones have been sick, I was planning an early night last night before Twitter blew up with stories of an explosion at the Arena. I watched the news unfold into the small hours and my heart broke. There is a post somewhere on how Titter has become a minefield in times of crisis, but this is neither the time, day nor the place for that. There is another post on the farcical, false headlines spread by publications like the Mail, shared relentlessly on social media, generated as parents are thrown into the depths of despair over the loss of their children. False news from media outlets decrying false news. But not today. Today my heart is broken for a city I love. That someone, somewhere, looked at the scheduling of events for the Arena and decided that a concert that was attended by thousands of children was a target; an affront to whatever sick, twisted ideology they live by, is a hideous thing to behold. Targeting anyone in the name of your beliefs is obscene, targeting children is a hideous, obscene act, killing them at a pop concert, a hospital or on a beach, it’s an obscene act. 23 people are dead. Dozens more have life threatening and life altering injuries. This isn’t about faith, this isn’t about religion, this is about one individual who has been twisted by others, their view of life damaged by some menace they can’t describe. We need to understand each other, take care of each other, we need to listen to each other. 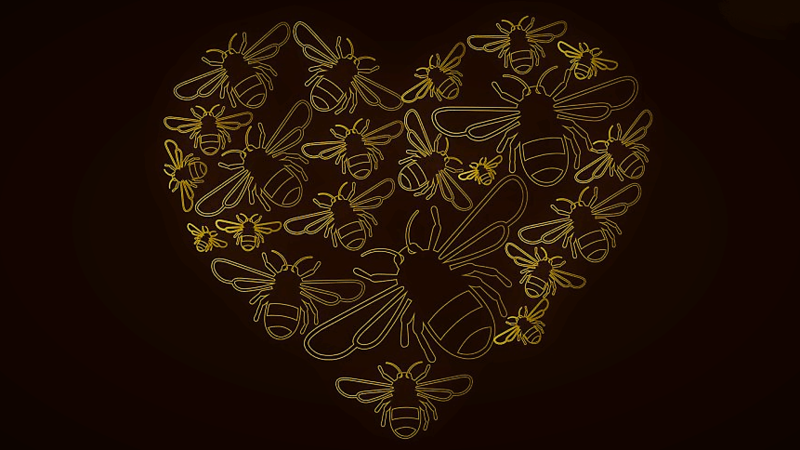 Manchester is a bigger place than this act belies, it is full of heart, full of guts, full of passion, full of pride, it is brave and bold and beautiful. My heart aches for Manchester. But Manchester bounces back, it always does, it will bounce back bigger, stronger, bolder and more beautiful than before. To those who have lost children, partners, parents, I send love, I send my every thought and hope that you find peace somewhere. To those who offered brews, beds, and love I applaud you, you did good. To those who worked through the night in hospitals and in taxis and in hotels, I bow, you are heroes every, single, one. The world may seem like a dark, dark place but there is light and it will shine for all of you.